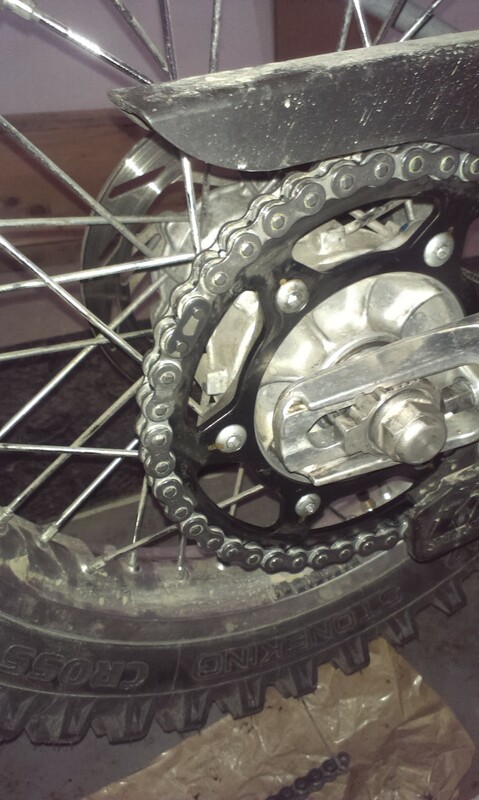 So the final part of my spring preparation was sprocket and chain swap. 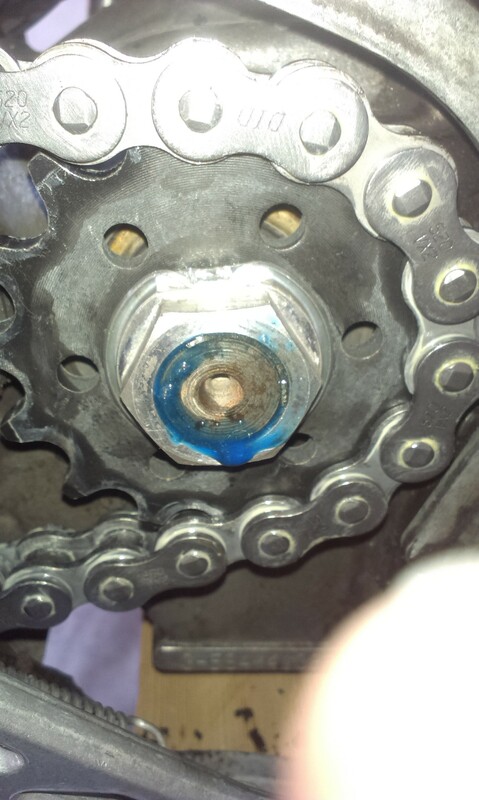 From what I have gathered form different forums and people that have been riding the 640’s for year is that the best option for the front sprocket is that OEM KTM ones, and they are also quite cheap. 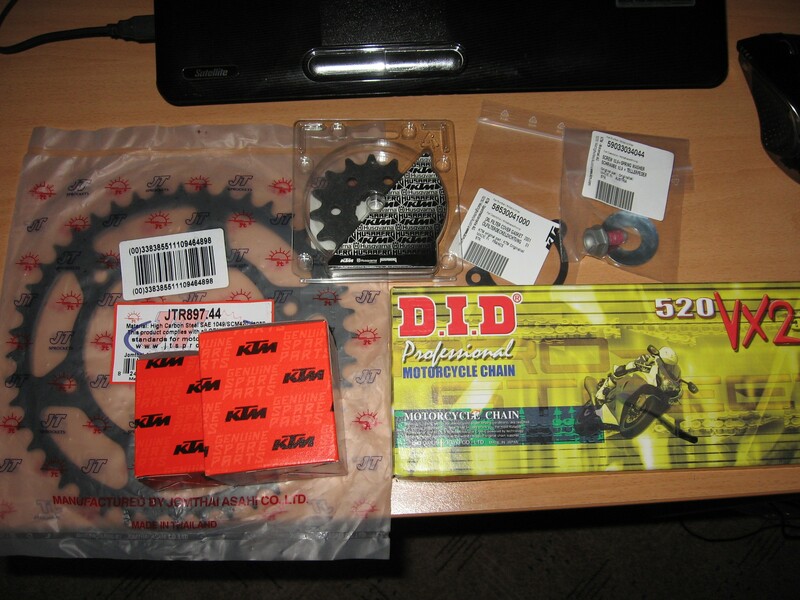 For the rear I have went with JT Sprockets and the OEM KTM didn’t have the one with tooth count that I needed, and the chain I chose was a DID 520VX2, its a 520 spec chain with x-rings. 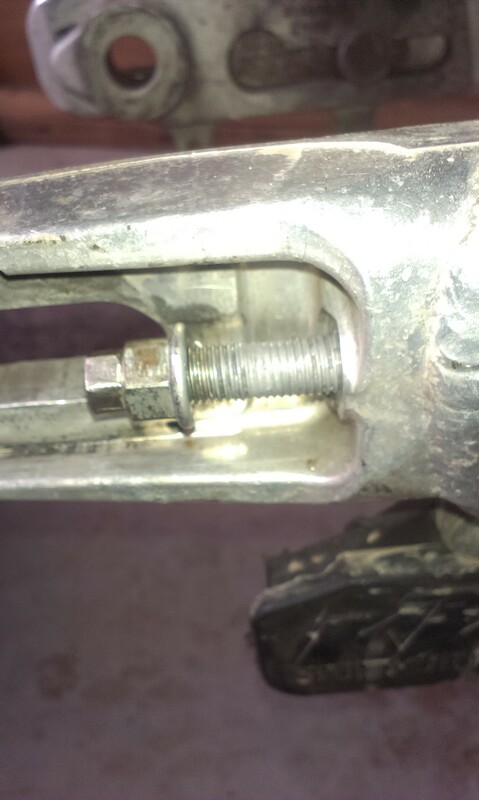 So it was time to jack-up the bike and start tearing it apart, yet again. 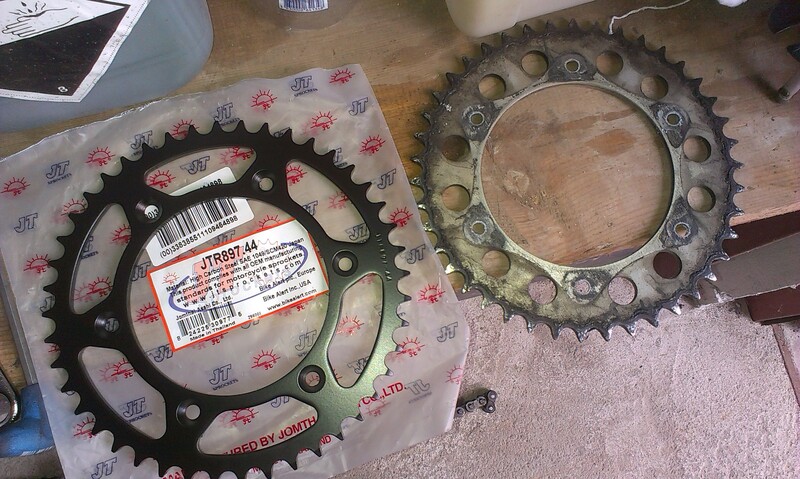 With the new sprockets, I have also decided to also change the gearing. I went form 16/42 stock ratio, to a 15/44, recommended by a good friend. After a few rides, I really like this setup and with a throttle cam system, the bike has really, turned in to a crawler at really low revs. 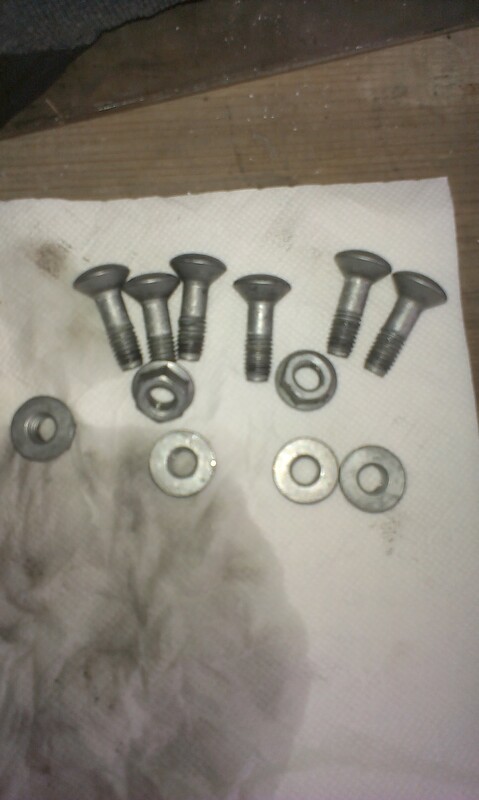 After removing the old rear sprocket, I have thoroughly cleaned the bolts so that loctite would hold when I put everything back together. 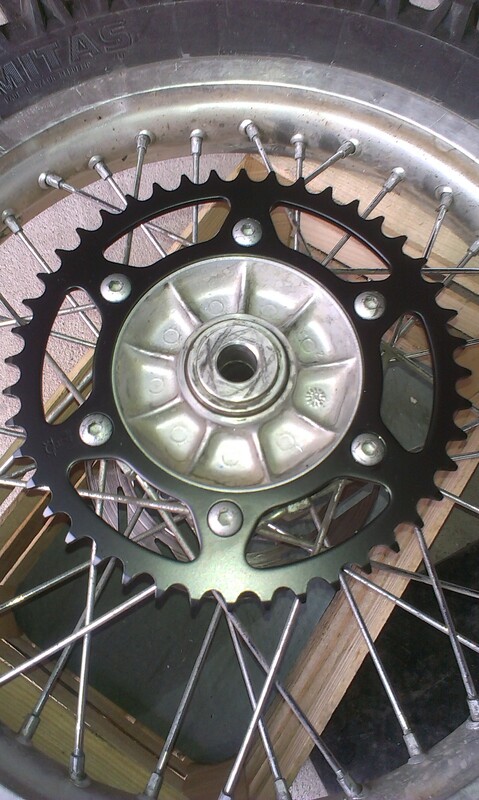 Shiny new rear sprocket on the hub. Before I had reasembeled the rear end, I have takent the adjuster bolts out and dipped them into anti-seize high temp paste so that they wont seize up again. 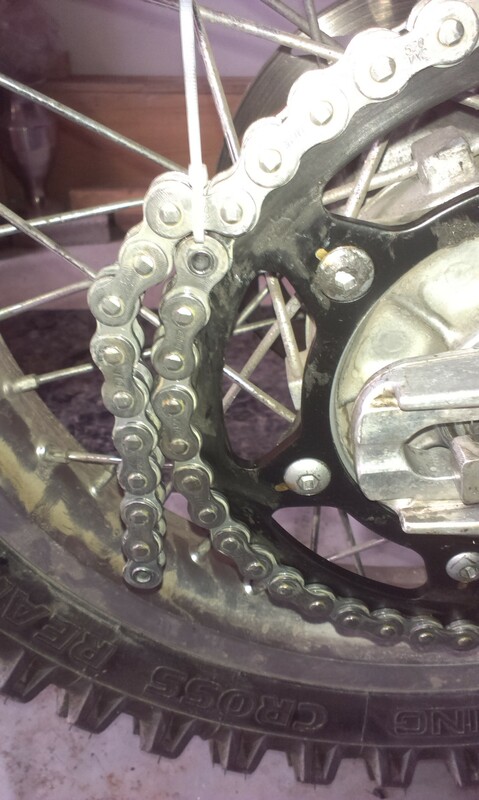 Next I installed the front sprocket up, just so that I could measure the chain length needed. I got a 120 link chain so I knew I had to take some links off. 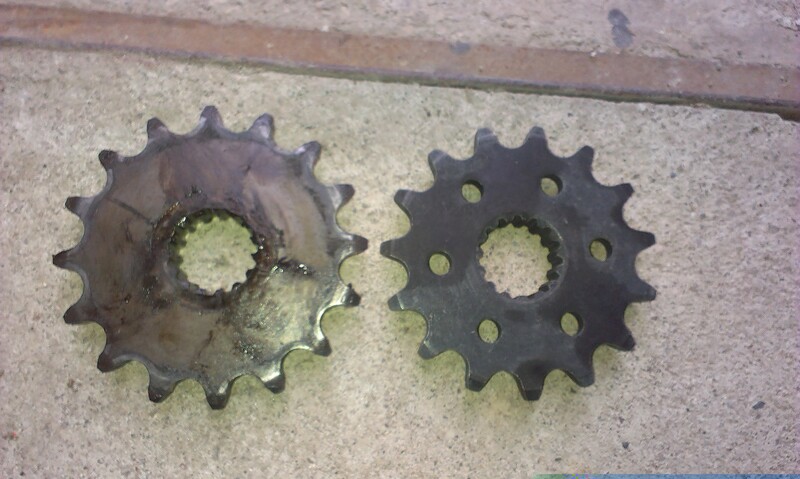 After that it was all just the matter of torquing up the front sprocket and cleaning everything before use. 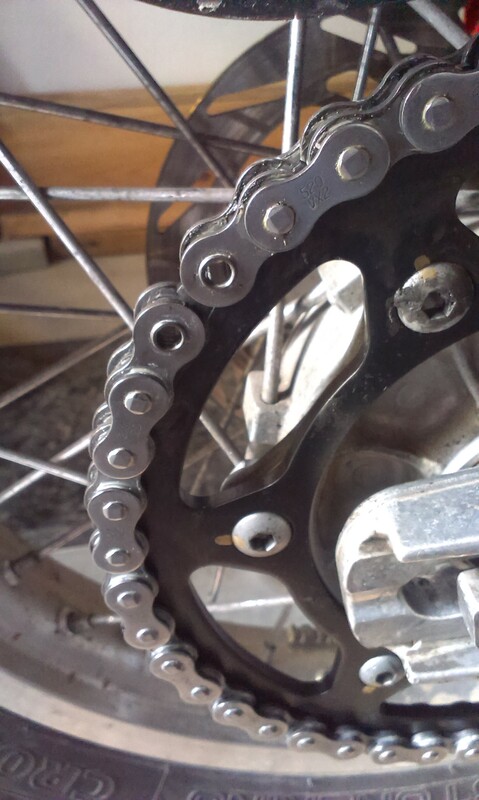 All you need to do after a this is go on a short ride to check everything and after that re-adjust the chain tension. 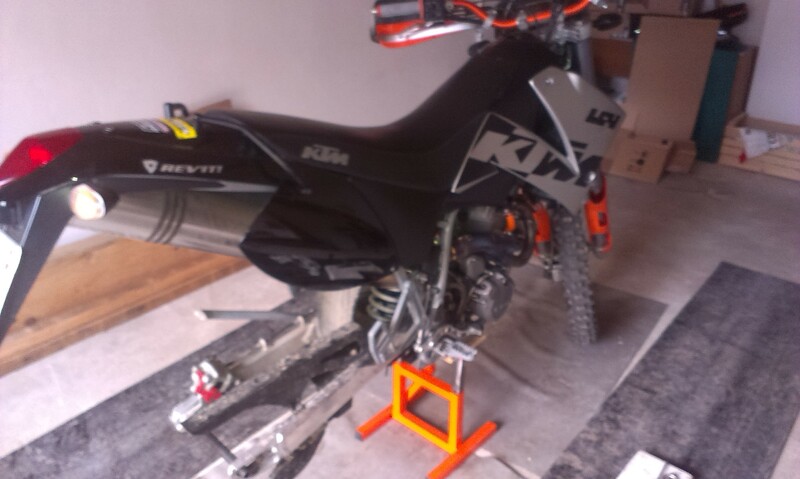 This should hopefully last at least 2 seasons of riding.